This is often my state of mind. 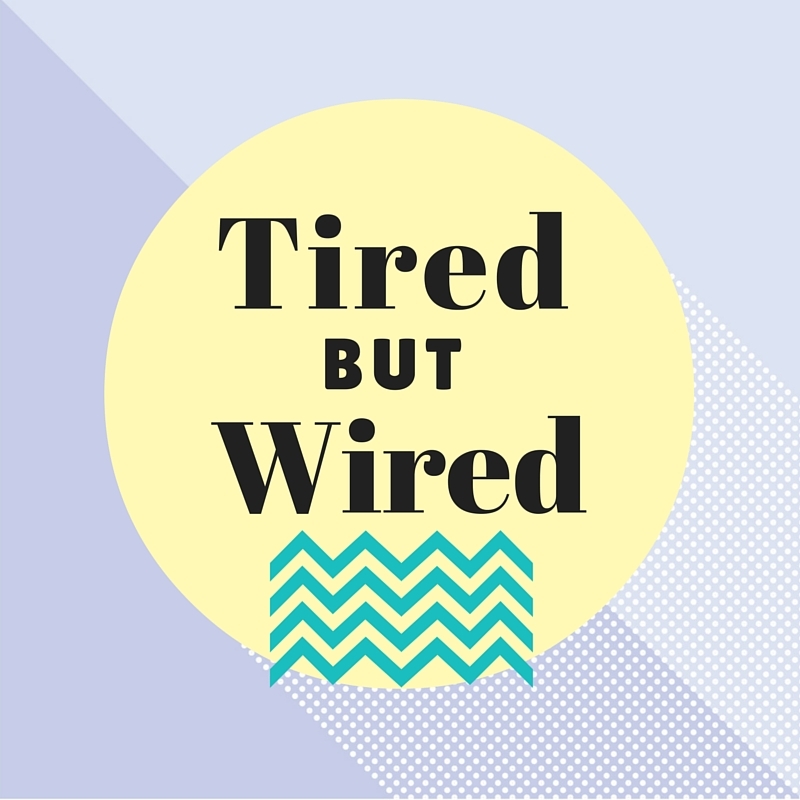 “Tired but Wired.” I should make t-shirts. So, what does this mean. Well, I’m exhausted most of the time. I work a job and a half (well, really a job and three quarters). I take care of most of the household chores on a day-to-day basis. I manage appointments and scheduling because I am the one with the busy schedule. I don’t want to paint my DH out to be lazy. He has a couple of jobs, but those jobs are long distance and highly intense for short bursts of time. They are also jobs that I would say suffer from Parkinson’s Law – so, given deadlines, the work would be done in less time, but because it is often done without near-term deadlines, it expands to fill a lot of his time. My job is more defined – I have teaching hours, office hours and then hours that I spend doing grading, prep, etc. but those are when I can fit them in. My job suffers a bit from Parkinson’s Law as well. So, we’re both working at home quite a bit. Too much, in fact. So, yeah, I ‘m both tired and wired. I’m exhausted but anxious. And I feel a little stuck. I do have summer coming in a month. During summer, I am mostly wired. I get bored easily and feel like I NEED to be doing things. But, I also don’t get much done. It is a strange set of circumstances. But, this summer, I plan to be more purposeful in REST and in WORK. So, I’m going to plan times for both. I need to work on a course redesign I got a grant for and I have a few other projects I would like to get done during the summer. But, I also realize that I need to have some DOWN time. When I’m not working on anything. When I can just decompress. Sleep. Relax. Read. Enjoy. If I am not purposeful about that, the summer will be gone and I will still feel just tired and wired. I want to feel rejuvenated and purposeful instead. It isn’t quite as poetic, but it sure would feel better. I started using an Erin Condren planner at the beginning of this year. I am actually using it regularly, which is unusual going into month three for me. That is a bit of consistency I haven’t seen with past planners. I love the look and feel of the planner, so it makes me more likely to use it. As you can probably see from all the writing, I have a lot going on. Keeping a planner and calendar has made me more aware of all that I have going on. But, I feel more in control this semester than past semesters. I have figured out a schedule that works for me. It makes my Mondays and Wednesdays very long (Wednesdays are very, very long), but my Tuesdays really open (I’ve taken to saying “Tuesday is Sue’s day”) and my Thursdays totally doable. It has been a much easier semester so far. So, I’m busy, but…I’m also feeling like I can do this. Although, those three orange circles on the calendar are kind of sending out a warning signal. My DD’s operation to have her pacemaker placed is less than two weeks away and I am definitely wondering how much of a kink that is going to put in our schedule. I did end up doing a routine for us (although not everything on that list) and it has been really helpful. So, I’m hoping that the surgery and its aftermath won’t be too bad. But, only time will tell. I’ve learned that lesson in the past. There is no guarantee when it comes to predicting recovery and such, only averages. And if there is one thing that my DD has NOT been in the past, it is average.